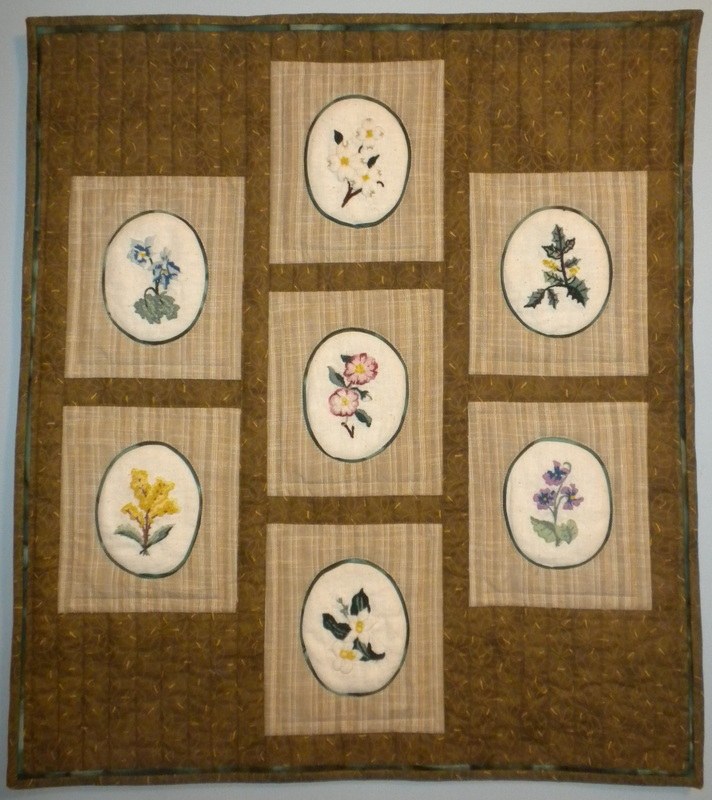 This was one of my first needlework projects after we were married. 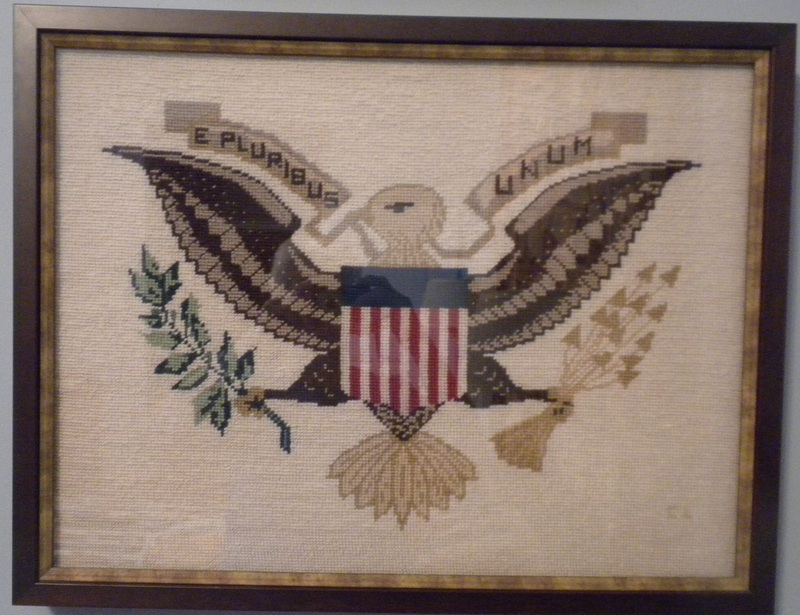 I had purchased a frame for $2 and decided to make an original needlepoint eagle to fit the frame. We were living in Frankfort, KY, at the time and made a special trip to the needlepoint shop in Lexington to purchase the canvas and yarn. When the woman found out I had never done any needlepoint she refused to sell me the materials and wanted me to purchase a kit instead. That was all the motivation I needed to do my own thing! It was reframed in 2007. This was inspired by a picture I saw in a magazine. The rules for the North Florida Fair required that the background be stitched. Since mine wasn’t, the piece was entered in Articles of Merit Not Listed. One of a series of eight. 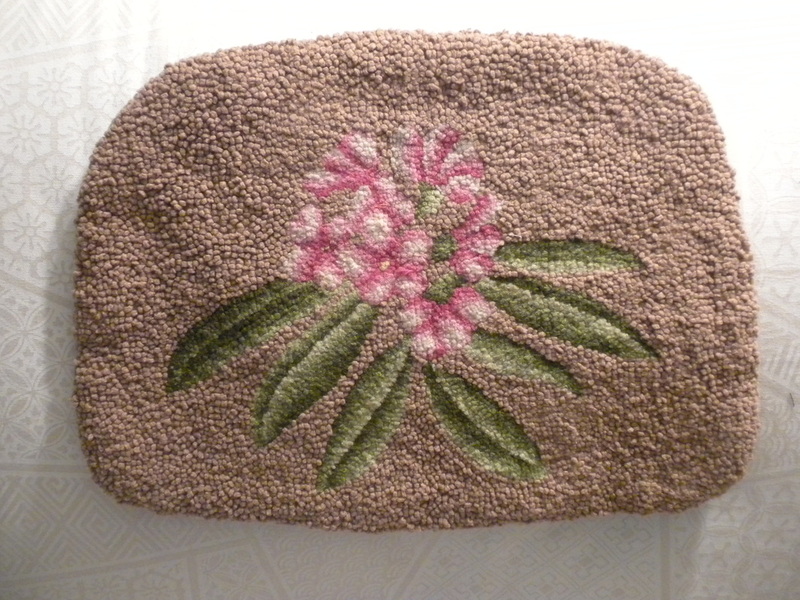 After taking a class in traditional rug hooking, I decided to make a set of chair pads featuring the state flower from the different places where we had lived. The designs were original. The rules for the North Florida Fair had a category for hooked rugs but mine were chair pads. They were entered in Articles of Merit Not Listed.